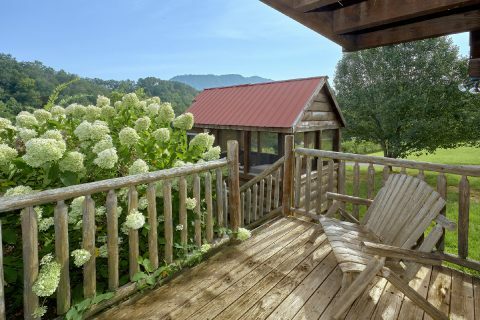 Looking for an affordable cabin in beautiful Sevierville, TN? 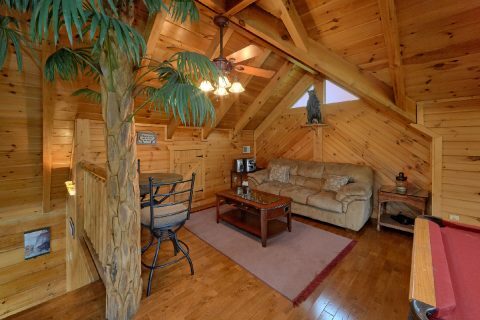 Check out "Love Without End!" 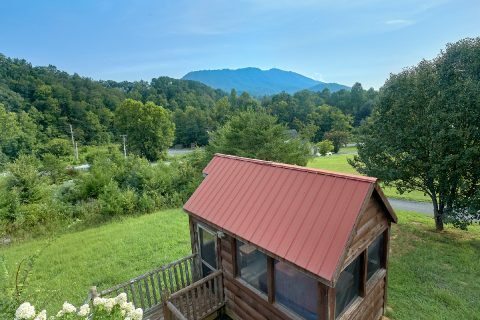 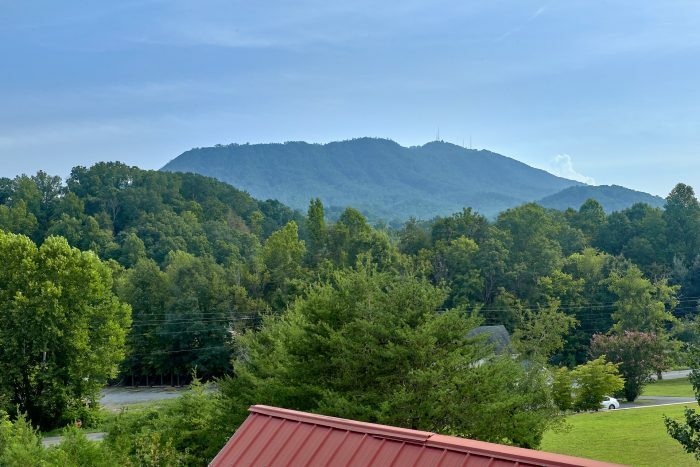 This charming 1 bedroom honeymoon cabin boasts a peaceful mountain location that's only minutes away from big attractions in Pigeon Forge like Dollywood, The Island, and The Titanic Museum! 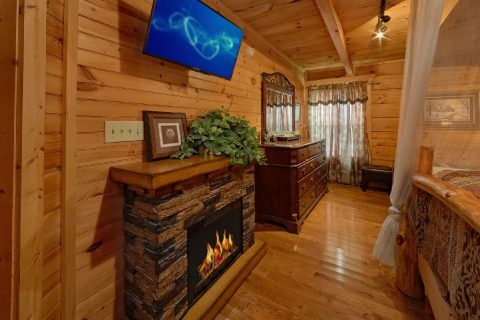 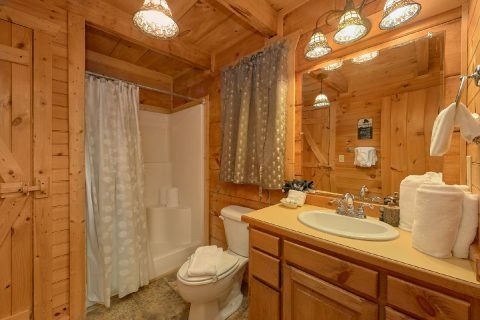 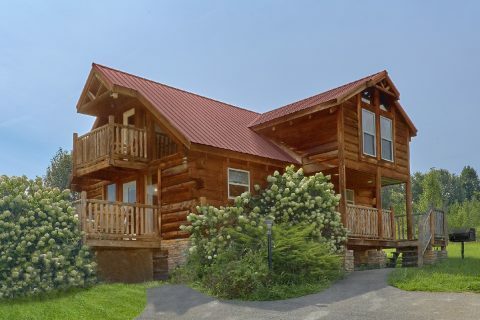 When you aren't busy enjoying the sights of the Pigeon Forge Parkway, you'll love relaxing at this cozy cabin that has everything you need to unwind. 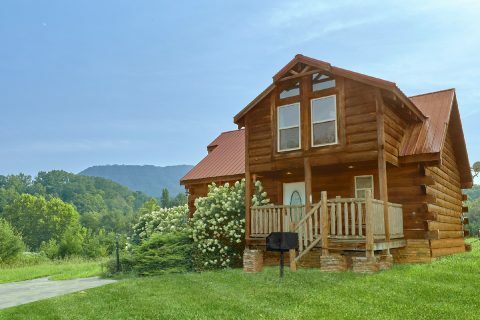 With room for up to 4 guests, "Love Without End" is the perfect size for a romantic honeymoon trip or small, affordable family vacation in the Smokies. 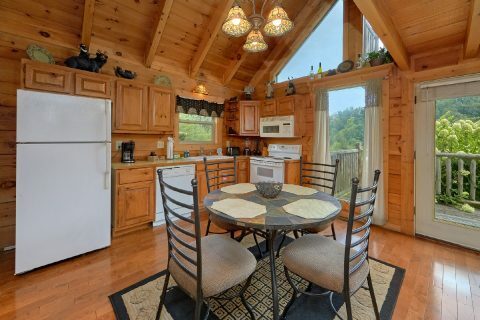 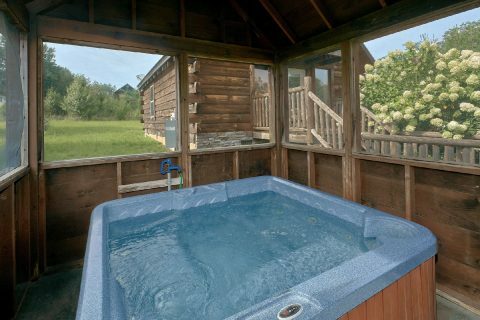 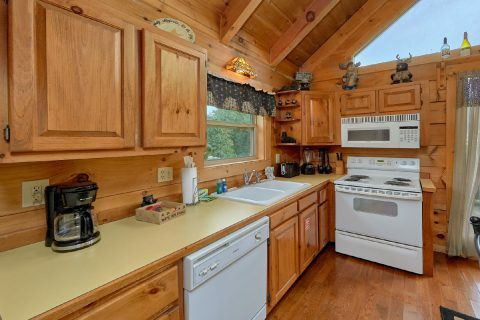 From the screened-in, detached, hot tub room on the main deck to the comfortable living room complete with a gas fireplace, television, and vaulted ceilings, there's a lot to love about this welcoming cabin near Pigeon Forge. 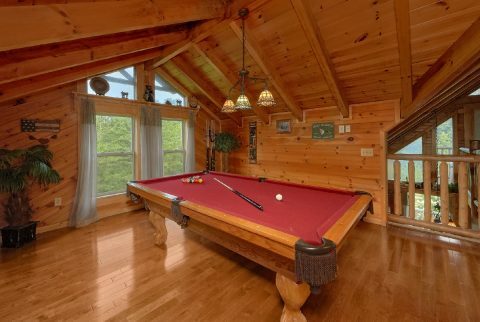 In the upper-level game area, you'll also enjoy playing a round of pool on the billiards table or a fun game of foosball on the unique coffee table/foosball game. 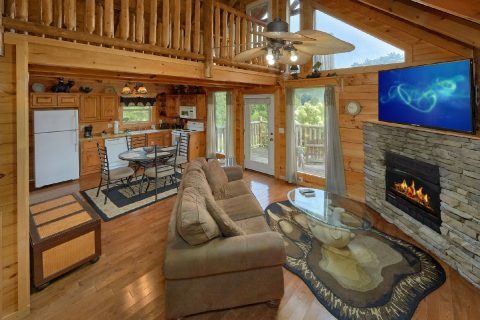 From this floor, you can also take a catwalk to an upper-level balcony to enjoy your cabin's peaceful Smoky Mountain setting. 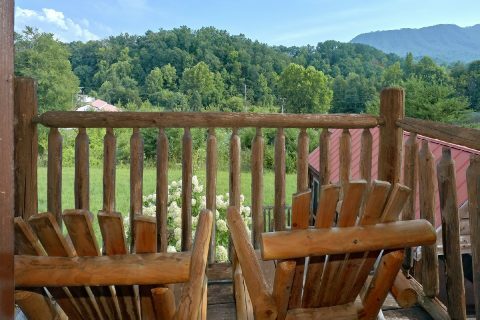 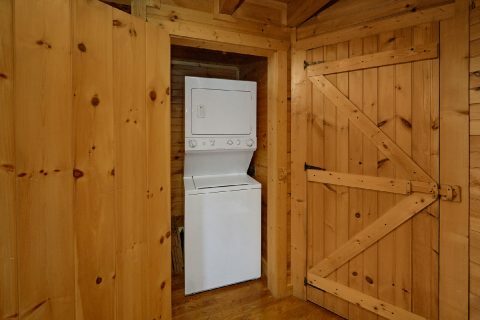 This cabin also comes complete with useful amenities like a full kitchen, a dining table with 4 chairs, and a charcoal grill for you to use during your stay. 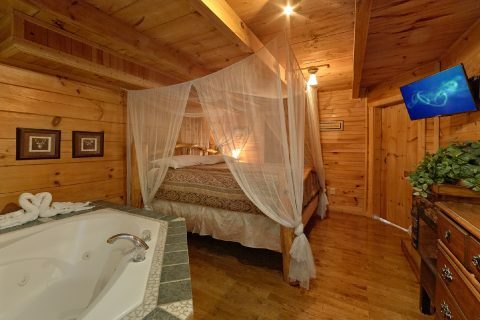 For staying well rested on your trip, you can look forward to getting a good night's rest in this cabin's main level bedroom that features a king-size bed, a television, jacuzzi tub, and a full bathroom with a walk-in shower. 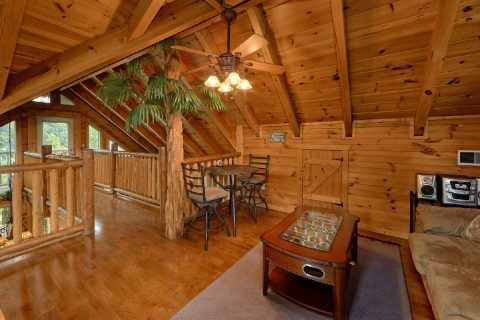 With a sleeper sofa in the upstairs game area, this cabin can easily sleep up to 4 guests in comfort. 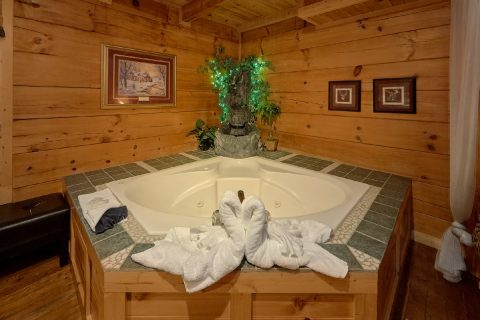 Book "Love Without End" today with Cabins USA Gatlinburg, and you'll save 15% on your nightly rate in the Great Smoky Mountains of Tennessee!